Let’s go, the water calls! Are you wondering where you can try it? Would you like to get more information? Subscribe to our newsletter on the first page! 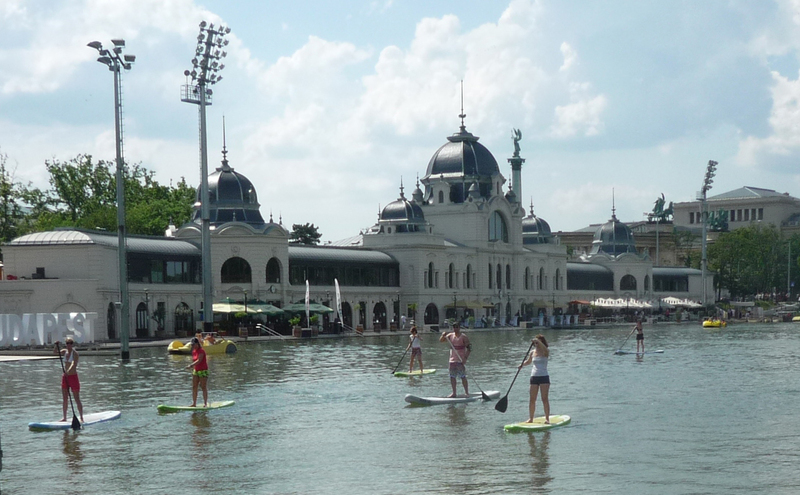 “Stand up and paddle!” This could be the key sentence of the water sport that appeared in Hungary only a couple of years ago and attracts lots of people to the shores every time. The origins of SUP (Stand Up Paddle board) can be traced back to Polynesian fishers, who traditionally stand on their boards. It is highly probable that this tradition spread to Hawaii, where surf coaches taught the sport while standing on surf boards. 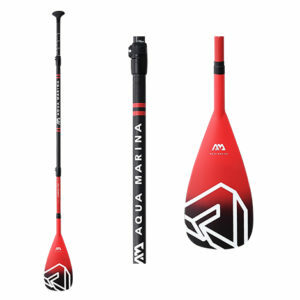 Since sup proved to be a great sport opportunity even on windless and waveless days, it is understandable that its popularity spread rapidly all over the world, particularly in windless and waveless places. WHAT IT IS GOOD FOR? The sup develops the sense of balance and physical fitness for those who want to do sport and for those who are attracted by the silence of nature, it helps to chill out and relax. HOW LONG DOES IT TAKE TO LEARN THIS? 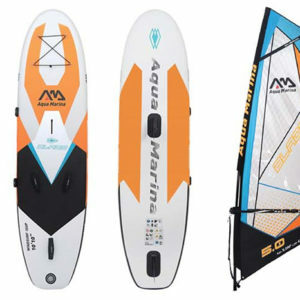 One of the further advantages of sup is that its use can be easily acquired in a few minutes. Nomen est omen, its secret is revealed in its name: just stand up on it and paddle! WOULD YOU LIKE TO TRY IT? ARE YOU WONDERING WHAT IT IS LIKE? Give us your e-mail address and we inform you free of charge about all our news regarding SUP and opportunities to try it! 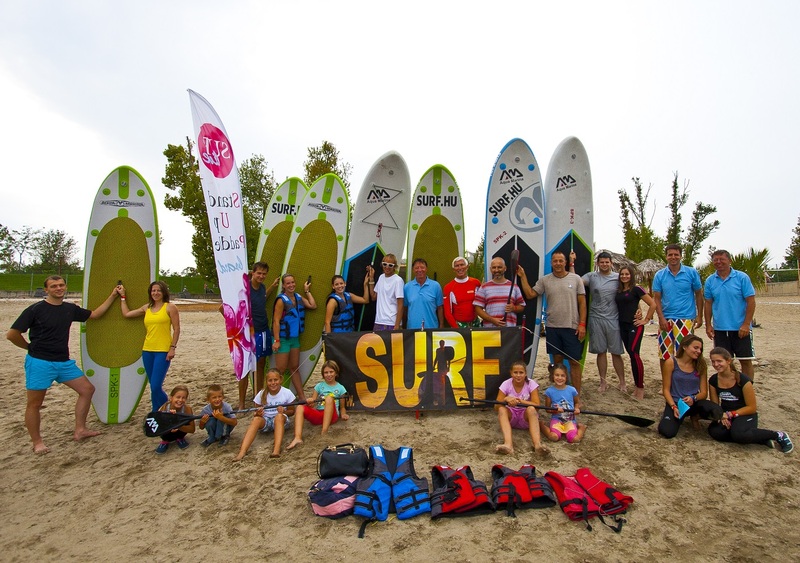 SUP provides a great opportunity for team-building trainings and other company related events. We also offer renting opportunity. We recommend it not only to the lovers of wakeboard, windsurf and sailing for windless and waveless days, but for all who like spending their free time on water. Check out the products in our SHOP! To wavesurfing waves are needed. To windsurfing and sailing wind is a must. To wakeboarding we need a motorboat or at least a cableway. While to SUP (or paddle) nothing is required but the equipment that only consist of a board and a paddle (of course water is needed too…) In comparison with the other hobbies requiring huge equipment and depending highly on weather, advantage of SUP is that we can do it anytime. On water that is calm as a mill-pond, paddling is easy, only our endurance and physical fitness set the limits. However, paddling on waving water is a greater sport challenge. New service! Renting opportunity! Contact us! A further advantage of paddle is that it can be used not only while standing on it but it serves perfectly as a kayak too, which proves to be especially good if we would like to take a rest and relax during a longer tour. 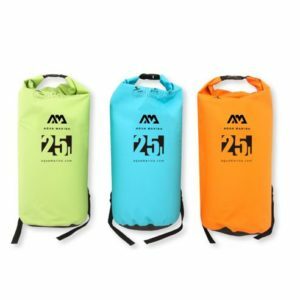 If you like kayaking and you found the transportation of the boat too circumstancial, the inflatable sup board can be a good solution for this problem too. 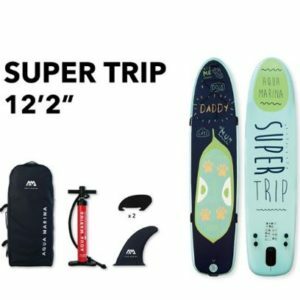 In contrast with the fix and solid boards, inflatable sups need small place – it can be transported not only in car trunks but even on a motorcycle –, so no roof rack is needed. The dismountable paddle also makes the journeys (and our lives too) easier, it can easily be transformed for standing paddling or kayaking. Due to the practical strings on the board, we can take drink water that can be lifesaving not only in hot water and our mobile phones for emergency calls with us. Besides both paddle ends and the back-rest serving as the kayak seat can be carried with us too and so we can have everything needed for a whole-day tour. I am Peter Csaba. I started surfing at the age of 17. After I finished my university studies, I was working on the Canary Islands, also in Fuerteventura, where I first met the sport kiting. After a 10-year old friendship with Zaránd Duska, we founded a kiting school named Kiteline in May 2000. We both had more years of experience in coaching windsurfing abroad and we were dealing with kitesurfing since the sport appeared. We taught more hundreds of people kitesurfing and besides the inland courses, we organized several journeys to the most beautiful kiting paradises of the world. Many travelled with us. We founded and run for some years the Surfbeach in Szabadi-Sóstó, which was a beloved place for sportsmen, friends and acquaintances. The sport products used and sold by us and the range of sports made popular by us widened continuously. We met SUP (Stand Up Paddle) and paddle too and we liked them. In 2008 I suffered a sport accident and consequently I had to withdraw from Kiteline in the spring of 2011, our relationship was broken. In 2012, the time has come to start a new sport business. Earlier I was mainly interested in surfing and kiting. However, I had to admit that these products and the foreign journeys are quite expensive and highly depend on weather. 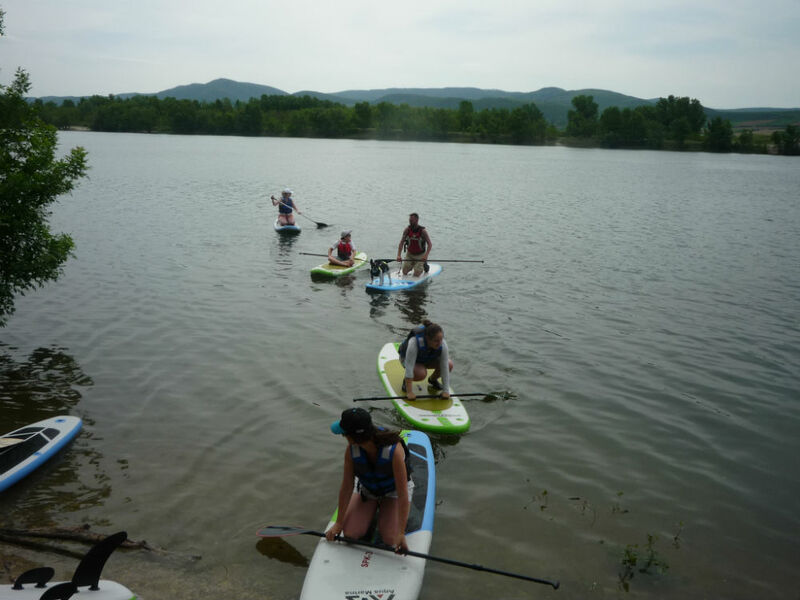 Paddling and SUP can be easily acquired at home too, neither a sport past nor wind are required, and since the boards we offer are inflatable, it is easier to transport them. And most importantly, we can offer them for an available price. I am Peter’s father. Based on Peter’s professional history and know-how, we launched a new family business in 2013 and started trading with SUPs. If you have any questions or if you want to check out the actual products, please contact me. A blog depicts the history of Peter’s recovery (http://csabapeter.hu). The date of the first entry is December 12, 2008. Use it anytime, with anybody!